You need to identify in which Norwood Scale as shown aside, is your case. 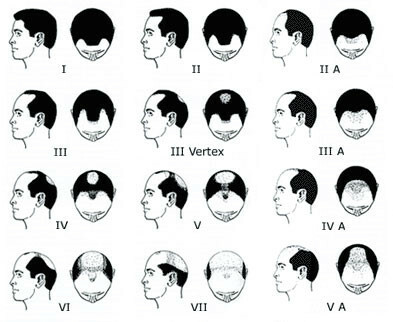 If you are a young patient 25 years old, you can gain understanding of how hair transplantation works for the Young Patient. 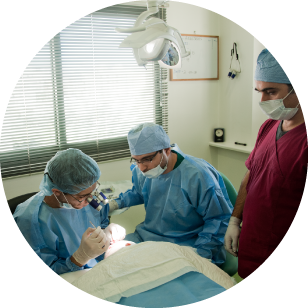 Υou need to sort out whether the way forward for your case is a hair loss treatment, a hair transplantation or a combination of the two. HDC Medical team can provide you with such an assessment by getting in touch with us. Just send your contact details and indicative photos of your balding thinning areas. You need to make your research. 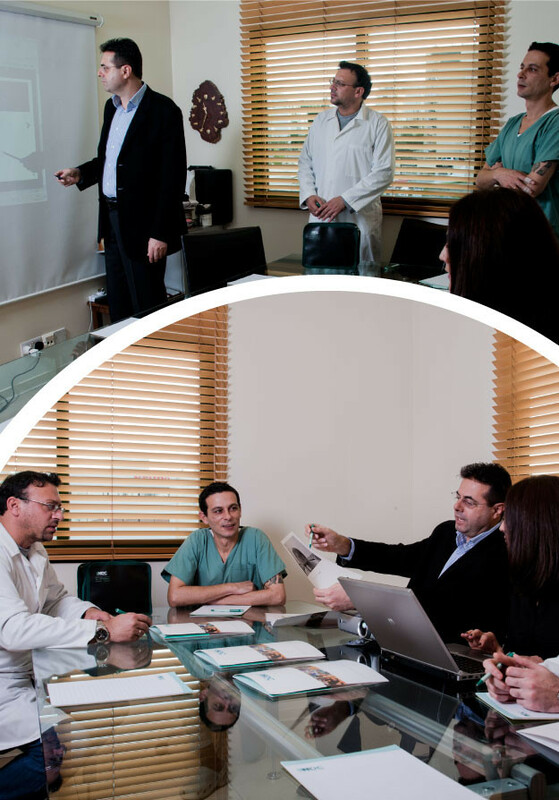 Get in touch with clinics or doctors that have consistent / proven results published regularly in International HairTransplant forums such as, Hair Transplant Network, Hair Loss Experiences and Hairsite. You may also see other forums in your lanquage in Greece, Spain, Italy, Sweden, Poland etc. Make sure that the before and after photos are presented clearly with always showing the post-operative photos of the case presented, in these forums or Clinic’s websites. After you make your research, end up with a short list with the evaluation of the best 2-3 clinics so that you can compare the number of grafts pro-posed and prices. 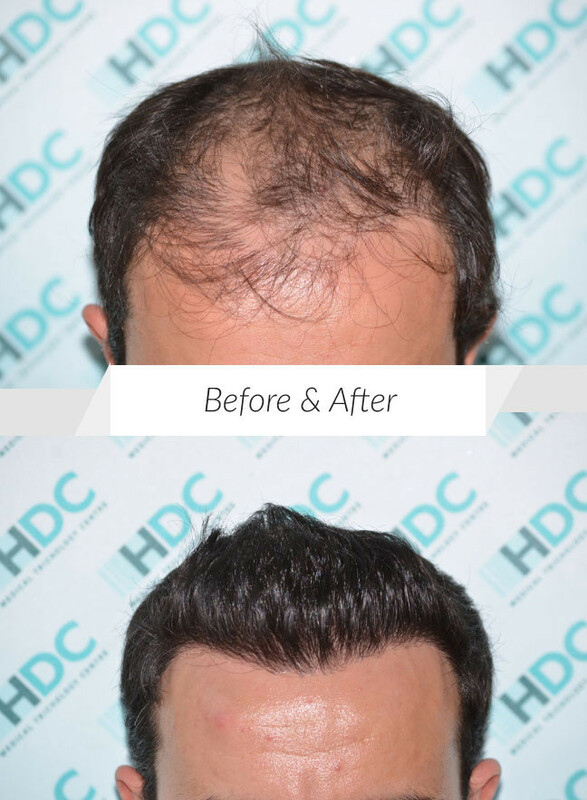 If you end up choosing HDC Hair Clinic after all your research and contact with our patient coordinators, you will need to proceed with choosing the date of the surgery. Once you have done that, you will be required to fill up a medical history report and you will be provided with pre operation instruc-tions and some other important information that you will need to know before you proceed with the actual operation. 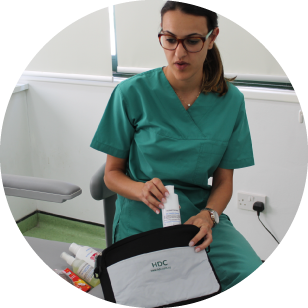 If you are travelling from abroad, HDC will arrange for all your needs: travel,airport transportations, accommodation and post operation kit. Our driver will wait for you at the airport and drive you to one of our Clinic’s apart-ments, thus ensuring your convenience and comfort. On the date of the surgery, you will be required to come to the clinic at 08:00am where the medical team responsible for your case will be waitingfor you. Together with the doctor, you will agree the final hairline design and the area to be covered. Clear photos will be taken before and after your pro-cedure. The surgery usually lasts between 6-8 hours with a few breaks in be-tween, including a lunch break. Local anaesthesia is used while the procedureis carried out for minimizing your discomfort or pain, and in the meantimeyou can watch television or listen to music as we restore your hair. When the procedure finishes you will provided with full post operation instructions. The first three days after the procedure are very important and it is advised to stay near the clinic in order to be provided with post operation care and supervision, that will help to accelerate your post - op healing. One month post operation, most of the hair implanted should have shed, therefore the re-cipient area should be looking almost like before the procedure. Over the 1st and 2nd month after the procedure, a lot of patience is required as it is the phase that almost nothing or very little happens. It is on the 3rd month that you should start to experience visible growth and until the 7th month you will complete up to 60-80% of your final result. Twelve months after the procedure you will have the final result of your hair transplan-tation. There are some cases of late growth but we do not expect a major enhance-ment of the result after one year is completed.